Very pretty, that thread is working up well. Thank you. I’m enjoying stitching in between the decorating sessions. and we’re off ^^ that DMC thread is a lovely shade! ooohh yes! 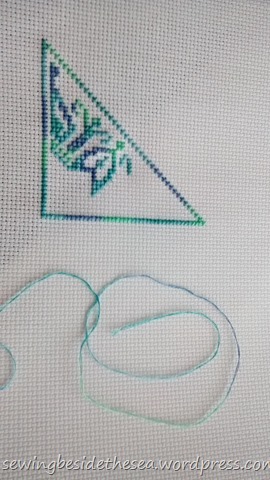 well when you’ve finished CdesT, you’ll probably have some leftover thread – you could stitch up some little card or biscornu designs on black! Reading my mind again lol. I love starting something new and it’s so far, so good on this one 😁. Thank you. I’m enjoying the ever changing thread. OK Avis, you and Claire have convinced me I should try something, anything with verigated thread. Your colors are serene and soothing. 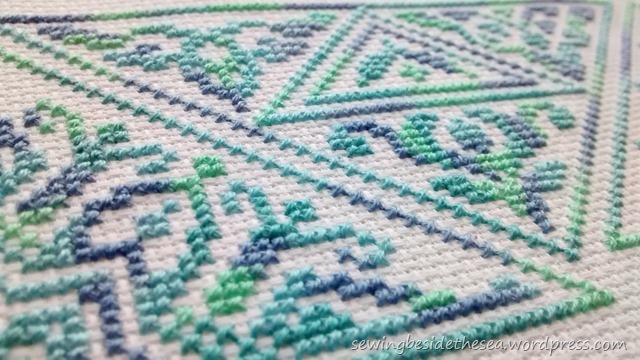 Do you finish each stitch individually to make the color changes flow? Great 😁. There are so many colours to choose from, something for everyone. I know you aren’t keen on variegated but if you get the right shades, just for you, you’ll love stitching with them. Yes, you finish every cross individually and you must start with two threads rather than one thread folded in half so the colours stay side by side. Variegates work so well with samplers too. I promise you’ll enjoy stitching with them ☺. Lovely! Your thread choices are beautiful and really make it pop! Thank you. I’ve used this one before on a card and I couldn’t resist using it for something larger. Thank you. Me too 😁. I love the color of your thread. Great choice. This will be beautiful. Thank you. I’m really enjoying stitching with it. Thank you. I love all blues and purples. This one has a little sea green as well and I love it. Such pretty colors! I can see where it would be hard to put this down once you got started! Thank you. I’m having to stop myself rushing on with it. Otherwise it could be finished by next week. 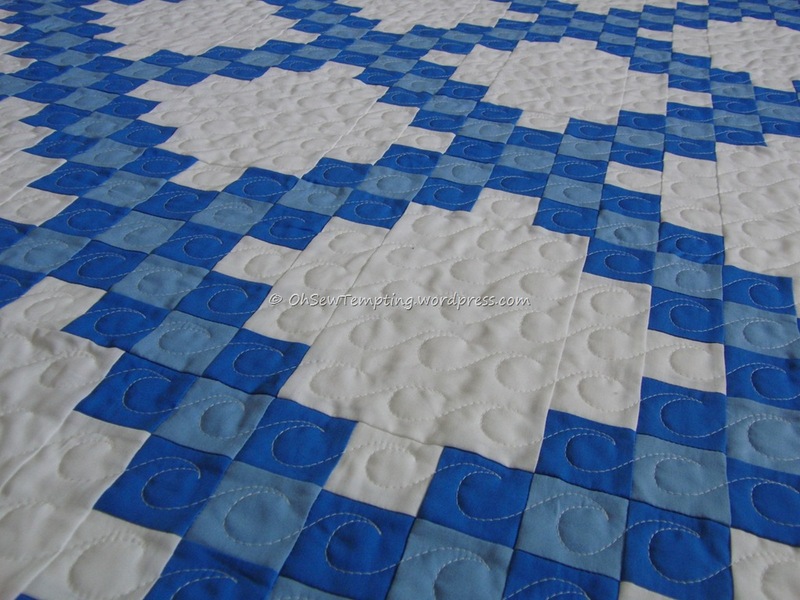 Beautiful pattern and your thread choice is stunning on the white fabric!! Love the color changes in that thread. Doing and Inc Circles is on my list of things to do. I have not seen the Triangles design, and it might just be the one I will do some day. The patterns are lovely and even more beautiful in your threads. Love it! Thank you Ginny. This is the third Ink Circles design that I’ve stitched. Cirque des Coeurs is my favourite so far.